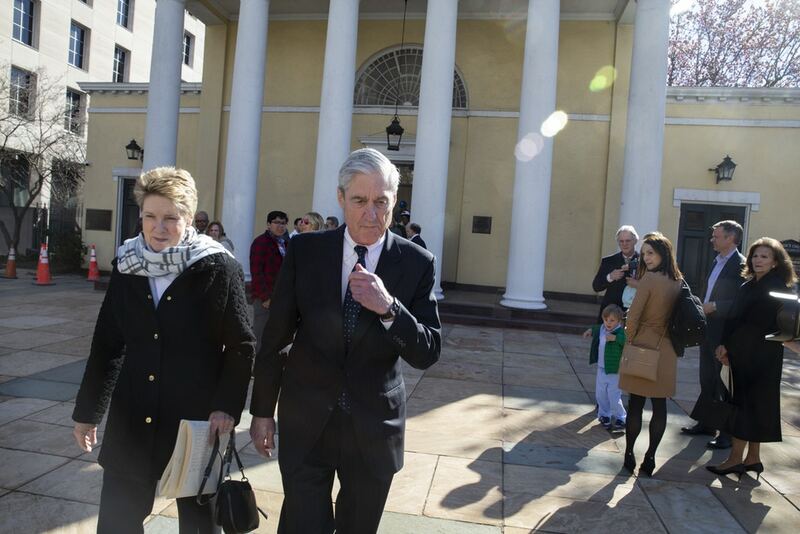 Special counsel Robert Mueller walks with his wife, Ann Mueller, in Washington, D.C. on March 24, 2019. The little-known Maryland state attorney general lacks Mueller’s resume and gravitas. 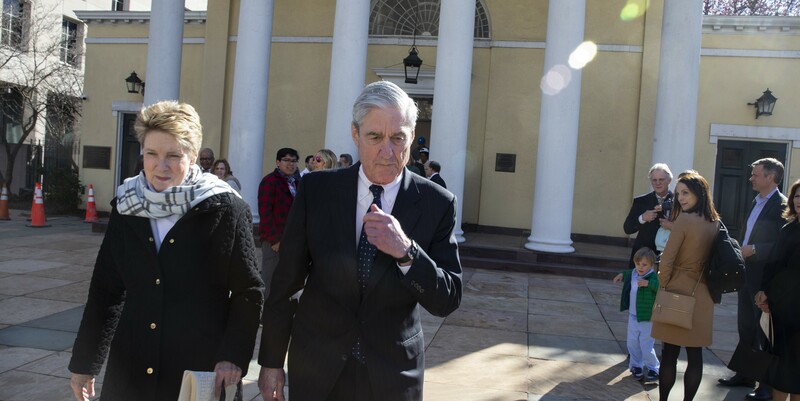 But Frosh is one of a legion of government officials, both in Washington and around the country, who are prepared to continue the fight against Donald Trump as Mueller’s special counsel probe comes to an end. That was not always a sure thing. Early in his presidency, Trump appeared eager to bulldoze the traditions, norms, and checks and balances that regulate the U.S. government and limit presidential power. And it looked like he might just get away with it. Trump fired FBI director James Comey to try to get rid of the Trump-Russia investigation, and then considered firing Mueller after he was named special counsel. That leaves plenty of room for officials like Frosh, who, along with the attorney general of the District of Columbia, has filed a lawsuit against Trump, arguing that the president’s continued business dealings – specifically, the operation of Trump’s hotel in Washington – violate the Constitution by enabling the president to receive “emoluments,” or payments, from foreign governments and states. Frosh and DC Attorney General Karl Racine argue that even as president, Trump has continued to have a financial interest in the hotel, which has become a cesspool of lobbyists and other favor seekers, including foreign officials who stay there when they are visiting Trump. Barr also said that Mueller didn’t decide whether Trump should be prosecuted for obstruction of justice as part of the inquiry. He said that Mueller laid out the evidence but “did not draw a conclusion – one way or the other – as to whether the examined conduct constituted obstruction.” Mueller didn’t conclude that Trump had committed a crime, but also did not exonerate him, Barr wrote. Since Mueller didn’t make a decision, Barr noted, he and Deputy Attorney General Rod Rosenstein concluded that there is not enough evidence to charge Trump with obstruction of justice. Even as federal prosecutors have continued those inquiries, state officials have also joined the fray. In addition to Frosh from Maryland and Racine from the District of Columbia, other Democratic law enforcement officials, including Letitia James, New York’s newly-elected attorney general, have vowed to aggressively confront Trump. Earlier this month, meanwhile, the Manhattan District Attorney indicted former Trump campaign manager Paul Manafort on charges related to mortgage fraud, after Manafort had already been convicted in Mueller’s investigation. Of course, one critical reason that the system of checks and balances is recovering is that the Democrats regained control of the House of Representatives in the 2018 mid-term election. Democratic control of the House means there can be aggressive congressional investigations into Trump for the first time. For the first two years of Trump’s presidency, the Republican-controlled Congress enabled Trump, and Republican leaders allowed themselves to become Trump’s lackeys. But now the House Intelligence Committee, Oversight, and Judiciary committees are all ready to pick up where Mueller left off.